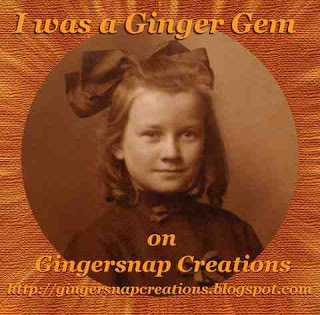 Thank you so much all you lovely Gingers, this was a lof of fun and the entries are all fabulous. I think everyone should be a Ginger. blog you are following soon. Wow! Our own Les - a Ginger Gem! Fabulous! Congrats - your ATC is beautiful and deserves the recognition!! Cheers! Congratulations! Way to go! Woo Hoo! Fabulous ATC!